Today’s writing is inspired by an Instagram post that my niece wrote earlier in the week. Before I get to that though, let me just be honest and tell you I have no idea what direction this post is taking. You see, sometimes I read or hear something that inspires me and other times I just ask the Divine to inspire me, connect the dots, speak through me and just guide me in whatever direction I can best serve the people reading my post…some of whom I know well and others who are complete strangers. Sometimes, I furiously type away, look at what I’ve written, and wonder where the words came from. You get the picture, right? As I mentioned in an earlier post, I like sacred rituals that honor, respect and celebrate the divine that lives inside all of us. So, I will share my writing routine with you. In most instances, I come home from yoga and meditation, grab a bite to eat then start my ritual for writing. I burn some delicious incense ( btw Maur I LOVE the Communication and Wisdom one you got me – you are now my official supplier), light a candle that has beautiful red hearts on it (thanks Ms. Kath), say a little prayer, and put on the lovely moonstone and lava mala beads that the amazing Daria Montferrante made for me (many of my near and dear friends have received custom malas that Daria has made for them). Since I’ve just come home from class, I feel like a totally open vessel and channel for communication And let me tell you, it can be very overwhelming having thoughts, words and ideas just filling my head. Whew! It leaves me no choose but to let go and surrender to the Divine, knowing that what needs to be communicated will flow seamlessly. Getting back to the topic at hand, Be Okay With Not Being Okay…..this is truly a wonderful example and extension of my previous blog on Authenticity. If you missed The “A” Word, please check it out. However, my niece’s post inspired me for a number of reasons, primarily being the fact that she is 29 years old and is already on the “path to self-awareness and self discovery” at what I consider a fairly young age. She has found her voice, her feelings and is using them wisely. I had a “proud auntie” moment, shared her post with some of my closest friends and remarked how I wish I was that wise at her age (Thanks Maur for reminding me that I was just where I needed to be at 29 and learning the lessons I needed to learn). We all learn at different rates, have different feelings at different times and act on them warranted by the circumstances / situations in our lives and where we were at such time. Megan’s post had to do with the revelation she had as she read the words Be Okay with Not Being Okay in the book she was reading by Latesha Randall with Sebastian Walker called The To-Be List – 70 Reminders that Life is About Being, Not Doing. What I was most impressed with about her writing was that she was able to dig deep and find the words to authentically and unapologetically be herself and acknowledge the fact that she was “allowing” herself to feel things she’s never allowed herself to do. She was actually sitting with her feelings, allowing them to arise and, more importunely, be Okay with them. Now if that is not an “aha” moment and a valuable, instrumental lesson to learn at her age!!! She further went on to explain how her past conditioning has been to bury her feelings and not ALLOW herself to feel them because the magnitude of those feelings would “destroy her.” In actuality, my dearest Megan (and I know she will be reading this because she is my number one supporter and encourager of my blogging) allowed herself to be broken open and transcended to another level of self awareness and evolution. Megan, a true Empath, also found the words to express how deeply she feels every little thing. Can you imagine being able to express this at her age?????? It takes many of us until adulthood to have this awareness (that is if you allow it – remember, some people are still walking around in a sleep-like state). As she stated, “It reminds me that it IS okay not to always be okay and you can CHOOSE to be okay with that.” Now THAT is authenticity and transparency at its best! As a result of Megan’s writing, I’d like to address the 20-30 something year olds aka”youngins” reading this essay (feel free to share with the youngin’s in your life). Many of you beautiful souls have come into this lifetime with a very specific mission and purpose. Therefore, there are many, many “sensitive” empathic and compassionate souls on this earth who are here to shine a light on the darkness this world is experiencing and to help heal humanity through your own healing, You are the healers, light workers, peacekeepers and future spiritual leaders. The key, is to have this realization and understanding, surround yourself with supportive individuals who “get it,” and “like-minded” friends who will be your allies in doing the work you came here to do. Some of you are fortunate enough to have parents and family members who are “open minded” or perhaps healers themselves and understand your path. They are able to guide and support you as well as encourage you to embrace the beautiful “gifts” you have been given. Some of these gifts are painful ones albeit if you are an empath, like my niece, because you actually FEEL deeply and have the ability to feel other people’s suffering. It’s a double edge sword that can be viewed as both a curse and a blessing. What you “choose” to do with this gift is your choice and one that only you can make for yourself. And don’t worry if you don’t have it all figured out, it’s okay! There are so many resources available today unlike decades ago. Magazines and books of all kinds, the internet, positive social media outlets, podcasts of all types and on-line webinars to meet your every need, online yoga, meditation, pranayama, guided visualizations, retreats, an overabundance of yoga studios and meditation / mindfulness centers, schools and college courses, metaphysical centers, mediums, intuitives, shamans, energy healers, life coaches and spiritual advisors…just to name a few! They are all resources to guide you along your spiritual journey here should you choose to fully step into your magnificence, power, purpose and light. I encourage, invite and urge you beautiful souls out there to embrace the gift of You and the gifts you’ve been given. Develop them, understand them, expand on them and put them to good use. You don’t have to have all the answers, just trust the process and be passionate about what it is you choose to do, knowing that it may change, evolve and look differently over time. It’s all okay! I took a short break and perused the new issue of Mantra Magazine (one of my faves – if not my favorite these days). It’s all about yoga and health, and every single product they advertise is vegan. According to Maranda Pleasant, Editor in Chief, she believes that the magazine is actually a “movement.” In her words, “Media should be a force for good. Now more than ever, media matters. The stories in the magazine and the causes we champion need to be louder, brighter and stronger. We will defend and create a new culture for women that outshines negative cultural programming. Sticking together, all of us – yogis, creatives, pioneers – changing the world for the better.” These values, ethics and integrity is why I love this magazine so very much. It is diverse, inclusive, so rich in content, creativity, short and brief articles and interviews, aryuvedic recipes, life around the globe, self-care practices, design and loads of wisdom for everyone, especially the youngin’s making their way on the path. So why bring up this magazine? Well, since I wanted to address the youngin’s in this post, it just so happens that the section called The Wisdom of Women asked several women what they wished they had known when they were 20. I invite you to take the time to read over these quotes, let their authenticity marinade in your beautiful souls and head space, see what feelings arise and the revelations that may just change your perspective! I love this quote by Maya Angelou! It gets to the heart of the reciprocity in giving. Oftentimes, people feel uncomfortable receiving. They feel that they are the ones who want to give. What we fail to realize and discount is the Joy that it brings to both the giver and the receiver. These gifts do not even have to entail money. Regardless of how large or small, someone’s generosity can be something as simple a flower, a home-made meal, lending a hand, being present for someone, helping them get through a tough time in their life, holding the space for them to talk, assisting them in some way or sharing words of wisdom. These gestures are blessings, indeed, and are examples of one’s generosity of spirit. What matters most is the intention behind our act of giving. When we give gifts from the heart and bestow these beautiful blessings onto others, it is important that we do so freely, unconditionally and without expectation. If not, there is no true joy in giving. Throughout my life, I couldn’t understand why my mother would give things away so freely, even gifts that I recently may have given her. Over time, and when I found myself doing the same thing, I had an “aha moment” and realized it was because it brought Joy not only to the receiver but especially to the giver. Joy is truly the most powerful emotion I personally feel while giving of myself to those in need. When I give lovingly of myself to others, whether it is time, presence, or attention, I feel that reciprocity of Joy. It’s like a two way street. I also feel much joy and purpose when I give actual things away…clothing, shoes, household items, furniture, etc. to friends and those in need. I know it fills the other person’s heart with joy and gratitude as well. And on that note….My darlings, before discarding something that may not be of any value or significance to you any longer, please, please, please do NOT throw it away! Many people are quick to throw things out, even perfectly new and useful items. There is always someone somewhere who would delight in being the recipient of your cast-offs. This generosity of spirit is a blessing you can bestow on someone and one they will be forever grateful! The spiritual benefits we receive in giving are connectedness and oneness. It’s almost like being used as an instrument of God’s peace (you know the disclaimer by now – if God doesn’t resonate for you, by all means replace it with a word that does). Knowing we are being used and doing God’s work, paying forward, being of service, and spreading light and love is a deeply powerful feeling. The emotions that arise for us when doing so are blessings that uplift us and fill our heart with joy, grace, gratitude and purpose. We learn to be more mindful of the “gift in giving” and also the abundance and wealth that keeps circulating via our generosity of spirit. What blessings have you received lately? How did it make you feel? Who do you know who exemplifies generosity of spirit? In what ways do they show this? How do you demonstrate your generosity of spirit? We have all experienced profound wisdom in our life via life experiences, self inquiry and mindful practices that allow us to see the lessons and wisdom gained. It allows us to be connected to “Source” and have many “aha moments” whether we are alone or with other “like-minded” individuals. The more we tune into these moments, the more connected we are to our inner “guru” or teacher and the more we can appreciate other people’s words of wisdom. Throughout my 20’s-40’s, whenever my Mama shared her wisdom, I used to do some MAJOR eye rolling! I’m sure you’ve been guilty of doing the same, right? She used to tell me that I had a lot of college degrees, but she went to “The University of Life” as she called it. Oh the eye rolling and head shaking that went on!!!!!! I still cringe when I think of my audacity and how arrogant I was to this woman who brought me into the world. She truly was a wealth of knowledge. I just didn’t see it. My warped thinking at the time went something like this: “What could she possibly know when she didn’t even go to college? I don’t even know if she ever got to finish HS!” Regardless, Mama did in fact go to the University of Life or, like many spiritual masters call it, Earth School. Dearest 13 year old JT, Develop a practice…tune into your inner guru, the Divine, and know that all will be well. Let love, compassion, joy and peace guide your every step, word and interaction with others. Life is a divinely ordained journey that helps us to grow, evolve and become our best Self. Worry less, laugh more….no need to worry for all your needs and everything you need in life will be yours by your Divine birthright. Be kind to yourself and others and live mindfully, present, awake and aware of the energy you bring forth. Stay in the light. Shine your light and know you are perfect and whole the way you are…..Love is the essence. Dearest Present Day 55 year old JT, By now you know the Divine connection you have with God and the Universe. You’ve learned practices and filled your spiritual toolbox with lots of resources that allow you to show up and be present. Keep growing, evolving and shinning your light. All things come in Divine order and in God’s timing. Your ultimate soulmate, opportunities for philanthropy and resources needed will, by right, find their way to you. In the interim, continue leading from the heart…right from the start. Earth School is a life-long journey that affords us the opportunities to amass voluminous amounts of wisdom. This wisdom, sage advice and inner knowingness can be shared via our interactions with friends, family members, colleagues and the stories we choose to share. This is what the elders of centuries ago shared around the campfire. It truly is a privilege and honor to be able to impart our sage advice and wisdom with others. It can also be looked at as a responsibility we have to other human beings. And, when others share their words of wisdom, regardless of who they are, their life or living circumstances, perspective and outlook, let’s try not to roll our eyes! Oftentimes we look at others’ life circumstances and wonder who are they to be sharing their advice and suggestions. In fact, they have earned that right because they, too, have gone to The University of Life / Earth School. Their life may look a little differently to us; nevertheless, we should not discount the value in what they have to share. Embrace it! We are all pure knowledge, we just have to embrace that thought, tap into our own teacher/guru, shine our light and confidently radiate wisdom. I invite you all to write a letter to your younger Self. Pick an age….12, 15, 21……and share your words of wisdom with your younger self. You may also want to write one to your present day self. Just write away….don’t censor your writing. Let it flow. You may just surprise yourself with what comes out. Why? Because your inner guru/teacher will be doing the talking. Keep shining brightly my darlings! As the last leg of Mama’s journey began on her 84th birthday on June 5, 2008, I asked God, Guardian Angels, Powerful and Divine Beings for the following: that Mama go peacefully; for me to be there by her side; for lots of PATIENCE, compassion and under standing. I will forever be grateful for God’s grace and the way the Universal and Divine Plan unfolded. I remember it was around mid-morning, and I decided to take a half day from work, bring a birthday party to her, and go to to the hospital to see Mama. After all, I just knew this was Mama’s last birthday on earth. Work was just not that important once I put things in perspective. Upon leaving work, I went to the store and got party hats, balloons, snacks, party decorations and headed over to the Argentinian bakery for the decadent cake they are known for making. When I got to the hospital, I really thought that we were going to lose her that day and was thankful for having the presence of mind to put Mama before work. You see, at another time in my life, work came first, second and third! That was quite a day with a bunch of her admirers coming to see her, staff from the nursing home popping in, and doctors, nurses and aides she had gotten to know at the hospital over the years dropped by as well. I just kept taking pictures. I took pictures of everything and everyone! She was discharged back to the nursing home a few days later, and the party continued there. I decided not to go away for the month of July as I was accustomed to doing and just spend it with her….a stay-cation of sorts. I kept taking pictures….of everyone and everything! I will be forever grateful for the honor of being able to play “Mother” and do things with her that kept me fully present in the beauty of the moment and the awareness to treat each day with her as if it were her last. I will be forever grateful for the simple things that brought Mama joy and for the opportunity to spoil her, plan her last birthday party, feed her, massage her legs and arms, scratch her back, play dress up, do her makeup and even cut her hair. I will be forever grateful for wheeling her along the river, taking her to the cemetery to visit Papi’s grave, visit the Our Lady of Fatima statue that was at Lourdes’ and Jorge’s house, buy her all the foods she craved (even though she only ate 2 bites at best), and spend time reading the dozens of cards and letters my Robert Waters Panthers and Pantherettes wrote to her. And I kept taking pictures… of everything and everyone! Mama had a couple of good months, but once September rolled along you could tell that she was done. October 2nd, her last day with us, was filled with an on-going stream of visitors coming to say their goodbyes, so I was glad to just have it be the two of us once the last of the visitors left. I still remember the awesome wine Sara brought and the delicious home-made Italian food Francine brought to the nursing home that night. We talked, laughed, ate and drank wine because I had decided to spend the night by Mama’s side. It was obvious that Mama was leaving us any moment. As I lay in bed with her, a couple of hours before she crossed over, I caressed her, chanted and sang to her, talked to her about my lifetime of memories, and named all the spirit family members who were waiting for her. Their light and energy could be felt around us. I told her how God, the Angels and other family needed her now. My dharma, or purpose, in my mother’s life became crystal clear to me at that precise moment. Upon coming into this lifetime, I chose her so I could play “Mother” to her (she was left motherless at the tender age of three). And that loss was something she never got over. Mama referenced her mother “Mamaita” almost daily as well as how much she missed her. Mama had only one tattered picture of her in her possession…how sad. She guarded that picture with her life! As I sit here typing, a memory of Mama asking me if I “would take care of her” came to mind. She took to asking me this over the years as her health declined more and more. She wanted to be taken care of “like a little girl.” She even had a few stuffed animals by her side. I will be forever grateful for the alone time I had with her that last night. I will be forever grateful for all the pictures I took of everyone who came to see her, pictures from her party, our field trips in July, activities in August, pictures from her last day and even pictures from the day of her burial and repast. Lastly, I will be forever grateful for the gift of being able to do her make-up once she was dressed and coiffed in her casket. That was the BEST 50th birthday gift!! You see, Mama died 2 weeks before my 50th. What an honor to spend that sacred and alone time with her and make sure she looked like her fashionista self. It took a lot of perseverance, negotiation and ultimately releasing it into the universe, but my wish was fulfilled! And, yes, I kept taking pictures….. of everyone and everything! I was creating memories….cherished memories that became my treasure. I encourage all of you to live each day with intention and purpose and as if it were the last day. When we do so, we have more fulfilling days. We are able to really see who and what matter. We are more present, Alive and in tune to the precious gift of life we have received. If you are interested in the dying process, and what the body goes through emotionally, physically mentally and spiritually as it prepares to cross over, I recommend you download Crossing the Creek by Michael Holmes. My mom’s Hospice social worker gave me a hardcopy years ago, and I have since shared it with numerous people. This book is no longer in print, but the author has made it available for free download. It is an absolutely wonderful and valuable resource. 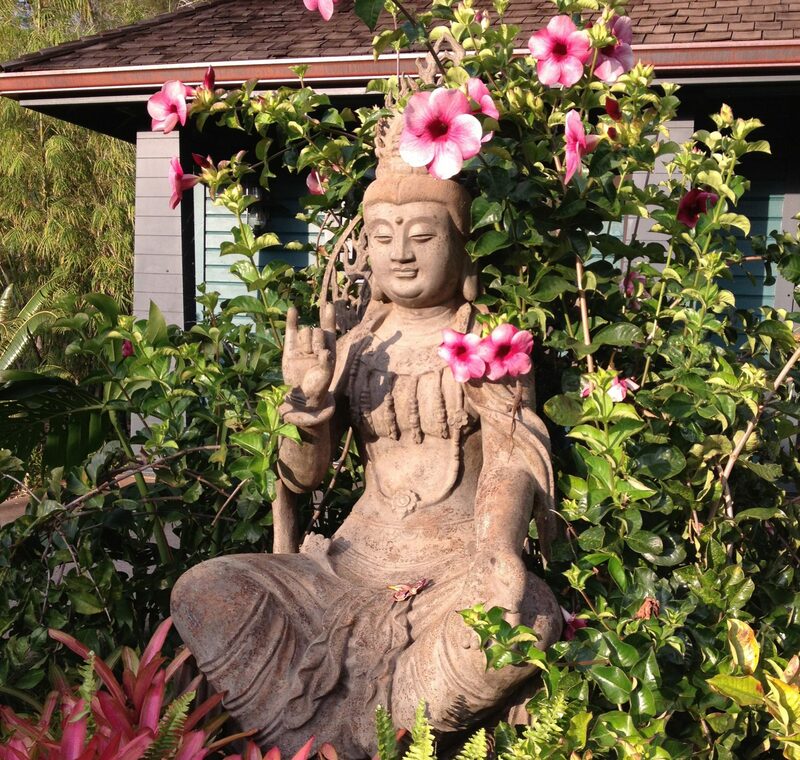 In addition, the Zen Hospice Project always puts out wonderful articles too. If you go on their website, you see the beautiful ways they honor palliative and end of life care. Remember darlings, we are all terminal….some of us are just lucky enough to know it! It is my belief that death, like any other rite of passage, is something that can, and should be celebrated. It does not have to be all doom and gloom; after all, we are celebrating someone’s life and the contribution they made while on this earth. It’s also a meaningful, memorable and sacred act to send our loved ones off with much love, intention, appreciation, respect, honor, integrity and dignity (and bubbly, fun, laughter and even a dance party). It’s equally important for us to express OUR wishes to our family, friends and loved ones as well. When you think of it, there’s always a reason or opportunity to Celebrate Life! Ask and you shall receive…Just remember to take pictures…of everyone and everything! Fall is such a beautiful time of year. It’s when Mother Nature takes out her richly colorful pallet and paints for us in the most beautiful shades, tones and hues. We capture this season’s beauty on our iPhones and cameras and, if you’re the artistic type, you take out your paint brushes, canvas, or color pencils and sketch pads and capture its beauty through your creative lens. Fall is also a time of shedding, falling leaves and is synonymous with the art of letting go. Fall brings with it many holidays commencing in September through the end of the year. It’s also a time of year that people tend to get sad, miss their loved ones who have passed on, send young children off to school for the first time or even off to college leaving them to be empty nesters, or are simply wallow in the fact that life isn’t exactly how they “expected” it to be. Fall months have been a time of a lot of loss in my life and lots of endings, especially in the month of October. I had not yet given this much thought this year until last week when I was in yoga. My teacher passed out cards and instructed each one of us to pick a card. The card I pulled read Strong Calm. Hmmm, I found this to be quite interesting. I placed it down on my yoga mat and decided to remain open to whatever arose throughout my practice. At some point, it hit me. I set the intention to take a different approach and outlook on the fall season this year. Rather than be reminded of the many losses and allow myself to get funky and sad, I decided to approach this time of year with a “Strong Calm” much like yoga – grounded, rooted, inner calmness and a strong core. In doing so, I can shift my perspective and look and all the beauty, abundance, miracles, magic and wealth, and wisdom that has shown up in my life after losing my parents, selling my Florida sanctuary, putting down my beloved Blackie-Mama, ending relationships, having surgeries and ending my career. When we take the time to reflect and count our blessings, we have the opportunity to carefully examine our life, choices we’ve made, their outcome, people who’ve come into our lives and others who are no longer part of it. The lessons we’ve learned become crystal clear. More importantly though, we are able to see the richness and fullness of our lives. We see the depth, scope and significance of the relationships we have with our friends and loved ones as well as the relationship we have with our Self. We appreciate the beauty that surrounds us and gain an understanding of the destruction around us. We are better equipped to see the light and the dark, as well as the love and the fear. With a sense of “strong clam,” we can hold a space for all of it. In this space, is where grace and gratitude can be found. Gratitude opens our hearts! By now y’all know that I’m a gratitude junkie. Gratitude is miraculous! Being grateful fills our hearts with endless amounts of love and pure joy. It is what gets us through anything we are going through, regardless of how challenging and difficult it may be. Our mindset is the key. I don’t know about you, but I am choosing to approach this beautiful Season of Change with a Strong Calm. Here’s how you can do the same: Write down the ten hardest or most terrible things that ever happened to you. As you look over the list, can you see the gifts that each of them brought? Take the time to write about each of these gifts and feel the sense of joy and gratitude that fills your heart center. How ironic that I finished Elizabeth Lesser’s book, Broken Open – How Difficult Times Help Us Grow just days before my “epic” orthopedic surgery in 2012. Whew! Was that book preparing me for something of great magnitude without me having the slightest inkling! Little did I know that I would be in for yet another self discovery journey over the three years following that surgery (only to have surgery again in 2016). Broken Open not only prepared me for the change I was about to undergo, but it equipped me with the strength and inner fortitude I needed to battle the most difficult, challenging and life altering event I was about to experience. Oh, this most fascinating and funny universe of ours surely knows how to deliver! I took the book out as I sat to write this blog, and I had written the following on the inside cover: “This book, by far, is one of the most beautiful books I’ve ever read. As if divinely ordained, I finished reading it just days before I went into the hospital (and I had ordered it quite some time before that). I must have purchased 10 copies and gave them to my Girls for Christmas. It’s an absolutely beautifully written book that makes you embrace The Phoenix Rising.” In case you’re interested in reading this book, Elizabeth Lesser shares stories about people who’ve “risen from the ashes” after suffering all types of loss such as death, divorce, illness, loss of a job, and how they did so with love and wisdom. If you’ve ever heard Elizabeth Lesser speak, seen her interviewed or have read any of her books, you know how, real, heart-warming, compassionate and honest she is. She’s such a gifted writer and storyteller. Talk about total transparency! In her book, Elizabeth asks, “Will we be broken down and defeated, or broken open and transformed?” I don’t know about you, but I’ve always opted for the later. I’m not sure who instilled that in me. Was it my father? Was it my mother? Did I, in an effort to be independent from a controlling Cuban mother? Somehow, in their own way, my parents instilled in me the knowing that I could get through anything I was faced with head on. Thanks, Mama and Honey-Honey – I don’t know how you did it, but it worked! Is there such a thing as being too independent? Let me not even go there….that’s for another blog!!! We all have choices in this life, and we can either choose to break down and succumb to the poor me/why me/victim mentality, or we can be broken open and forge ahead with strength, grace, faith and gratitude knowing that whatever experience we are going through is for our highest good, and we will come out of it transformed. We can call them lessons and blessings alike for there is, indeed, a silver lining in every single challenge and life event with which we are faced. Furthermore, these life events are also “priming” us for something much greater than we can imagine. Sometimes we are so caught up in what is happening, that we fail to see the big picture or, at the very least, acknowledge there even is a big picture even though we may be unable to see it at the moment. One thing I have learned though, is that these moments are somehow tied to our life purpose, rich in learning experiences, and the wisdom that comes with it. When I read Broken Open, I was planning on ending my career in the near future, but this magical universe of ours had a different plan of sorts. If you read my first blog, I mentioned how unfulfilled, underutilized, suffocated, and compromised I felt on the job. I knew I needed to get out of there. My soul desperately needed expansion and air. I am a free spirit and my wings felt like they had been clipped. I desperately needed to fly free! Despite my spiritual practices, yoga, meditation, working out, being out in nature, etc., I was constantly fatigued, exhausted, and sick. My quality of life was taking a hit, as was my personal and social life. All I did was work, work, work and saw less and less of my friends. I couldn’t wait to get home to go to bed. Sometimes, I’d be sleeping by 7PM. More importably though, while I was in tune with my body, I wasn’t listening to it. You know very well what happens when we don’t listen to our bodies, right? It will find a way to get our attention. In the end, if we fail to listen to these signs and messages, we will certainly broken down. That is precisely what happened to me. I went to work one day, suffered an injury that evening and was unable to return to work. I’m sure you can relate and can share your own experiences of being brought down to your knees. The game changer is what we choose to do once this occurs. Do we accept defeat, or are we willing to be transformed? In either case, our mindset will be the determining factor. Will we blossom into something extraordinary or wither away? The key my darlings, is the willingness to change and do things differently. Even if we love change and accept it freely and willingly, it’s all together a different thing when the quality of our life is affected. It poses a new set of challenges. In my particular case, I found myself being able to do less and less, suffered from chronic pain 24/7 and was forced to establish “new normals” with each passing day. I just kept putting one foot in front of the other in hopes of getting through that particular day. When I looked in the mirror, I was unrecognizable. Stressful situations take a toll on our mental, emotional, spiritual and physical well-being, especially when the joy is seemingly zapped from our life. This is when our limits are tested, and we have ask ourselves, “Will I be defeated or transformed?” No one can do this for us. This is when we dig deeper than we ever have before, down to the very core of our existence. This is when we re-evaluate everything we think we know and have learned only to have to re-adjust our thinking and re-learn all over again. But it’s all good! You know the saying, “What doesn’t kill us makes us stronger.” No kidding! In the end though, the outcome is sweeter, more meaningful and rich in lessons and blessings alike. This is when we are able to look back, connect the dots, and have a sense of deep gratitude for the opportunity to start anew. Personally, my experience and brush with death in 2012 not only made me thankful to be Alive, but it gave me a major attitude adjustment. It made me re-group, re-think my quality of life and re-assess my boundaries. It motivated me to re-commit to living a life of inspiration, love, and service while being totally mindful and present each and every step of the way…..quality life, quality moments and quality love! And part of that quality of life, quality moments and quality love is having the opportunity to share my lessons and blessings with you via my blogging in hopes that you too will find ways to inspire, love, serve even when facing the challenging times in your life. Use these times, your talents, gifts, uniqueness and whatever platform you have each and every day to share your stories and lead from the heart…right from the start! When faced with a difficult or challenging life event or loss of some kind, will you choose to be broken down and defeated, or will you choose the beauty of being broken open and transformed?